Anderson teams up with Jason Schwartzman, Roman Coppola, and Kunichi Nomura to write the story as he directs several of his returning favorite cast members such as Edward Norton (voice of “Atari”), Bob Balaban (voice of “King”) and Bill Murray (voice of “Boss”) while adding A-Listers such as Bryan Cranston (voice of “Chief”), Jeff Goldblum (voice of “Duke”), and Frances McDormand (voice of “Interpreter Nelson”) and many more. The story begins 20 years in the future in Japan as the Dog Flu and Snout-Fever reportedly are cross contaminating humans in the city of Megasaki requiring the Mayor Kobayashi (Nomura) to banish all dogs to a trash island. We are then taken back 10 centuries to understand the back story of this evil empire and the no-good they’ve always been up to, complete with hilarious translations for the viewer. Back to the future, we are introduced to the 12 year-old Atari, a ward of the corrupt Mayor, whose beloved “Spots” (voice of Liev Schreiber) was one of the first dogs to be deported. A rebel at heart, Atari steals a plane and crash lands on Trash Island to find his best buddy. And now the adventure begins as he meets all the mongrels who help him in his quest. “Isle of Dogs” is a classic story of a child saving the day. Anderson’s signature whimsical style, off-beat humor and staccato pacing of delivery translates perfectly into this animated feature, connecting you with each of the characters. 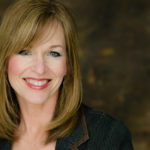 As a story that is geared toward older children, it is a rather complicated one, allowing kids of all ages to connect on various levels. And by kids, I’m also talking about the ones over the age of 25. The story, on the surface, is about a boy in search of his dog, fighting the evil uncle/mayor. Dig a little more deeply and you’ve opened Pandora’s Box, filled with analogies into today’s political and social world—government corruption and conspiracies, dictatorships, educational suppression, news entities, and the right to protest among many more. But at the heart of it is a sweet story of a love of a boy and his dog. The film beautifully pays homage to the story-telling master Kurosawa and the artistry of woodblock prints from Hiroshige and Hokusai, but it is the eccentric humor and delivery of these talented actors that makes it such a pleasure to watch. Hearing Murray’s voice and seeing his character dressed in blue and red as a baseball team’s mascot can’t help but conjure a Cubs uniform in disguise. Then we have Scarlett Johansson’s recognizable breathy voice as the pampered pup “Nutmeg” and Greta Gerwig’s honest and sweet interpretation of “Tracy Walker” who has an adorable crush on “Atari.” Each and every voice matches the personality of the character to a “T.” Music is also a main character, accentuating each and every scene and sometimes even becoming the focal point. It’s a wonderful visual, intellectual, and auditory amalgam of entertainment. 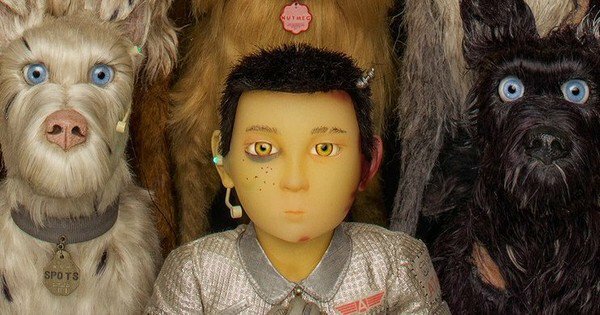 “Isle of Dogs” is an unusual animated film for both kids (over 12) and adults filled with humor and intelligence while blending Japanese culture and artistry with the avant-garde style of Anderson. Although the pacing lags about 2/3 of the way through, it picks back up toward the end as Anderson’s story ties up all the loose ends.